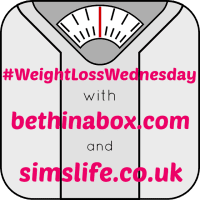 It was all about Blog On last week and despite attempting to get back on with the shakes, I was simply not feeling it at all and was simply careful with my eating… until the day. Even on Sunday though I was possibly the only person at the conference who managed to bypass the ridiculously colourful cake and all the glorious sweets on offer. That is resilience at its finest! Monday however was a different story and the missed calories were certainly claimed back. My bad! Today however, I can get back on track, having enjoyed a wonderful morning walk in the sunshine. It’s amazing how much a little sun can have a huge impact on your mood and focus. The pressure is now on to lose the remaining pounds that seem to have set up home and have been maintained of late. The pressure isn’t coming from anywhere else but myself and my own self confidence. Although yesterday I was informed I was the least likely person to suffer with confidence issues. That may well be, but everyone has inner demons and sadly, for women it generally boils down to body confidence issues. You should never worry about what other people think, do it for you, you rock it – walk into a room and completely own it. You would be surprised at how great that makes you feel! So, this next week, I am doing it for me – water and black coffee all the way! I’ve decided to stay away from alcohol for a while, a hideous hangover always seems to help me come to that conclusion! Getting rid of everything that is bad for you is the easiest way to get back on track and refocus for the final push, so this week is starting a-fresh and those damn scales will be kind to me! How do you boost your own self confidence? Here We Go With The Weight Loss Journey Again! If I find the secret to confidence, I promise I’ll share it. As it is…I just faking it goes a long way! I could use a little more confidence. I guess we all could. Why are we so hard on ourselves?